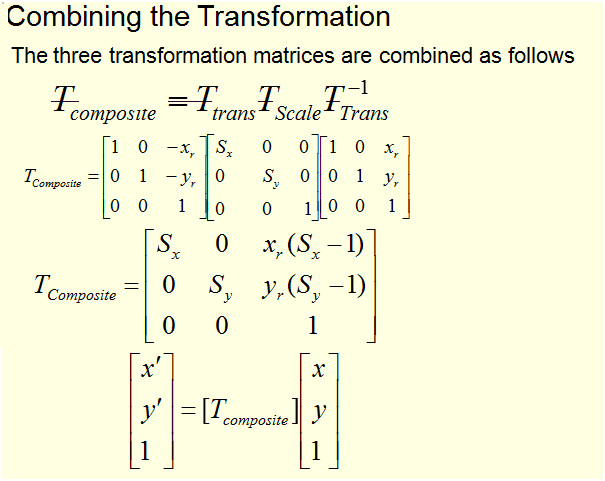 Question: Derive the matrix that represents scaling of an object with respect to any fixed point? 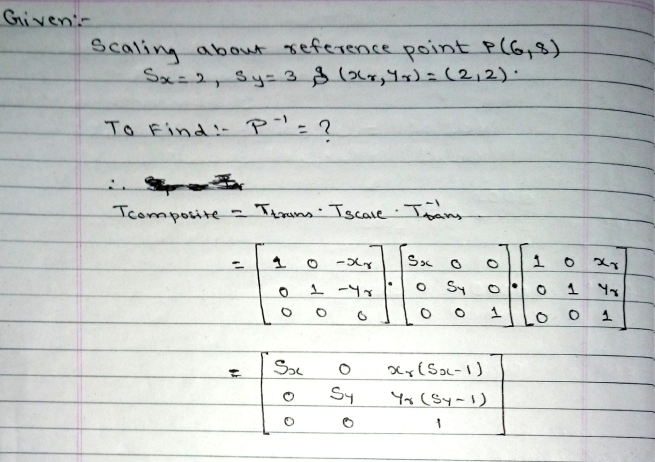 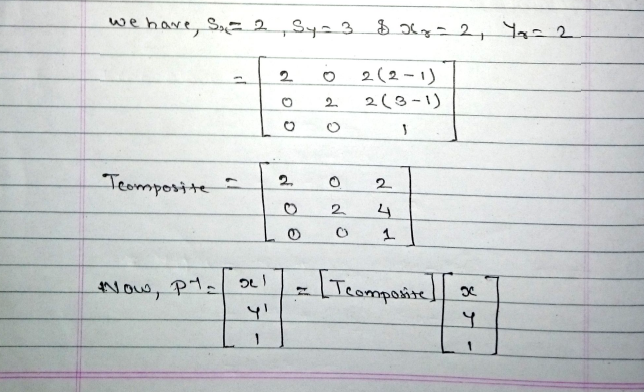 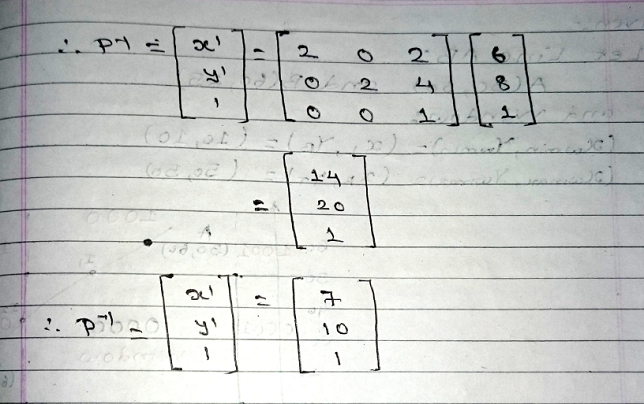 Use that matrix to find P-1 for the given point P(6,8) , Sx = 2 , Sy = 3 and fixed point (2,2). 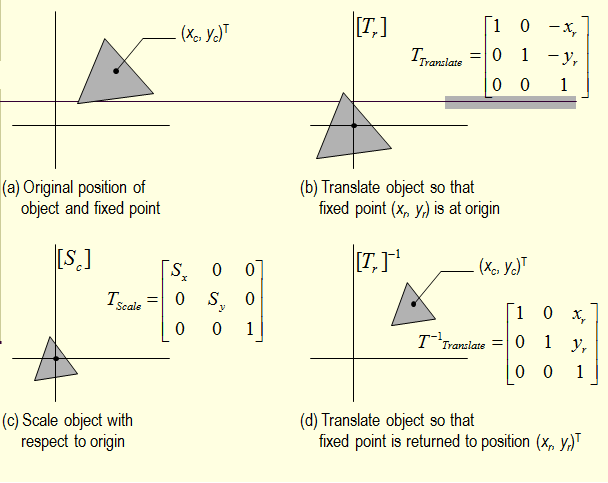 If the center of the object is not at the origin, in this case we should consider a scaling as a composite transformation which involves the following steps.